Do we want waterways that looks like this? Plastic, what an amazing and awful product at the same time.! It is cheap and it is light. Unfortunately, it has become an enormous environmental problem. Many lack the personal responsibility to get single-use plastic bottles and bags to the recycle bin. Many developing nations I visit seem oblivious to it, except in tourist areas! Days 6 through 11 of #31daysofreducingwaste are going to focus on how we can have less plastic pollution. So what is the problem with plastic? Many say the materials in plastic cause cancer. Plastic will never dissolve, but will break into thousands of pieces of litter. The plastic in the oceans will be here on earth for hundreds of years and it will be found in the intestines of many fish, turtles and birds. Plastic creates a terrible waste and litter problem. According to the http://blog.oceanconservancy.org/tag/plastic/ If left unchecked, there could be 250 million tons of plastic in the ocean by 2025 — about one pound of plastic for every three pounds of fish. We can’t let this happen. ** The best way to reduce plastic trash is NOT to drink bottled water. 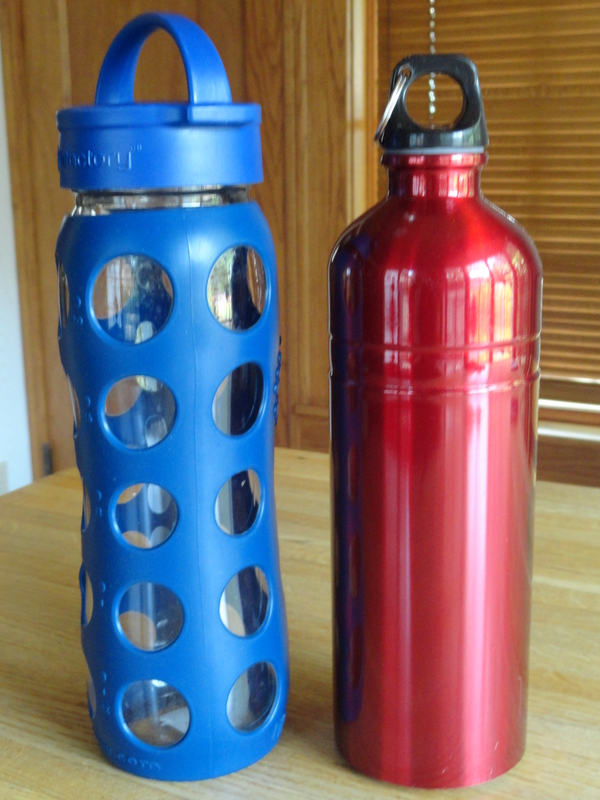 Bring a reusable water bottle to work, school, and for all your adventures. **Avoid plastic bags. Always bring your reusable shopping bags. ** Reuse and recycle all plastic bags. Please recycle plastic bags at grocery stores! * Reduce packaging: Try to purchase items with no packaging or packaging that can be recycled. http://washburn.mpls.k12.mn.us/washburn_green_team_video.html This is a great video made by my local high school students on reducing trash.